The USDA’s Animal and Plant Health Inspection Agency (APHIS) has reported that the Miami Animal Import Center will be temporarily closed to new arrivals of horses beginning on Jan. 19 in response to illness in a handful of horses quarantined at the facility. APHIS is investigating to determine the specific cause of illness, but salmonella is suspected, and the facility is stepping up biosecurity and taking additional precautions to prevent any further disease spread. The temporary closure is effective on Saturday, January 19, 2019. 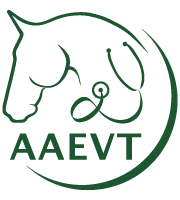 APHIS is conducting environmental testing at the facility, and the samples will be sent to the National Veterinary Services Laboratories for diagnostic testing. To date, six horses have fallen ill with symptoms, such as diarrhea, fever and lameness. Despite receiving immediate medical treatment, three of the horses died. The other three horses are recovering. APHIS will share more information once it is available.